As revealed by Radarly, health-related resolutions are the most discussed for 2016, with particular focuses on fitness, food and drink. 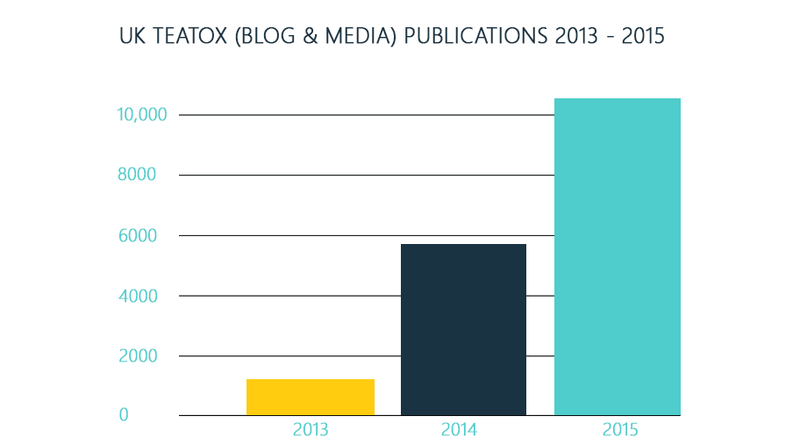 Attention to exercise and dieting is core to health regimes, and in 2015, social media catalysed a growth in awareness of savvy slimming solution, Teatox. 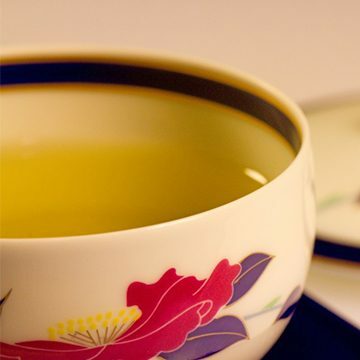 Teatoxing has entered the market in the time of a very health-conscious audience, presenting itself with a great opportunity for maximum success. 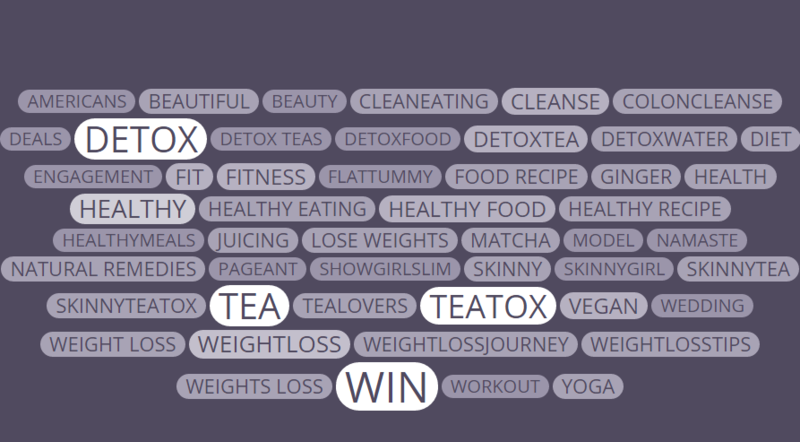 Social data indicates that teatox brands have managed to effectively position themselves in the detox market – with consumers using phrases such as “weight loss”, “healthy eating”, “healthy food” and “clean eating” within the semantic universe of teatoxing. It has been presented as a new and trendy alternative to traditional methods of dieting and weight loss, similar to other cleanse-trends, e.g. “juicing”. But while teatoxing is part of an underlying trend revealed by social listening, brands such as MateFit, Bootea, SkinnyMint and FitTea owe their success to the use of a particular strategy: Celebrity Marketing. These brands have used ambassadors with large online audiences to give their products visibility. "Just tried a new detox with fittea and I love it! It gives me a boost of energy to keep me going..."
The tweet was accompanied by a photo with his dog – and a pack of Bootea subtly positioned on his sofa. In a similar vein, American actress Morgan Demeola took a photo of herself with a MateFit bottle for her 157,000 Instagram followers. Leaving for yoga but first, making a @matefitme drink! Mixing Active Edition to my water, this will help me keep going throughout my class and it tastes so good❤?? thank you #matefit ???? The visual web, with Instagram taking the lead, is revolutionising previous product placement strategies. Now it’s not (just) about inserting products in TV series or films, but also about involving them in the everyday lives of celebrities as witnessed in the above images. The inclination to imitate the celebrities is all the more powerful because these influencers are no longer fictional but real, revealing their intimate lives through photos and selfies. Linkfluence helps hundreds of companies across the world to understand their social footprint and shape their marketing strategy with help from its Radarly suite and international teams of Social Media Researchers.